Hiring managers know that filling vacancies can be time consuming. Reading through resumes, conducting phone interviews, and vetting potential candidates can end up taking you away from your other responsibilities. But taking the time to get the job done right from the very beginning, even before you start collecting resumes, can end up saving you time, money, and headaches. Spare yourself the struggle and do it right the first time. Here are some important aspects to consider before you start seeing candidates for an opening. Let your mission statement be your guide to success! A well crafted mission statement, one that reveals the character of your company is one of the best ways to attract desirable candidates. Make sure that the key qualities that your company values are easily identifiable in all of your materials. If a company’s main focus is “Going Green” and the potential candidate disregards the practice of taking care of the environment, then maybe they're not the best pick for the position. When interviewing a candidate, ask how their personal goals intersect with the company’s. If both are in alignment, you could have a very good match on your hands. Before the interview process, it's important that you understand the open position and obligations that are embedded within it. Any vacancies should be thoroughly explored before you hand a job description off to human resources. Discover faults or pain points in the role. Find out why the position requires certain specifications. A study from the National Business Research Institute has shown the two leading factors that attribute to a failed hire are poor skills match and unclear performance objectives. This isn't to say that you need your human resources department to become experts on all company roles. However, you do want them to be familiar with the tasks that are performed during an average day, so the filtering process can run at a much more efficient pace. Putting yourself in the shoes of the candidate could further help your search to finding the most qualified employee. Also, take the time to understand why this certain position was left vacant. See if you can look through old employee concerns and reports. If you can assign a problem, then you can apply a solution. Hiring managers need to strike a balance between finding qualified candidates, and doing so in an efficient and respectable amount of time. Taking too long to close a hire can result in the lose of a worthy applicant, and rushing the process can lead to a bad match. According to the National Business Research Institute, 43% of employers cited that filling vacant positions in a limited amount of time resulted in unfit and unqualified hires. You can think of the hiring process as oddly similar to the dating game. In a technical aspect, two parties engage, shape a bond, and establish goals that pursue together. When a company hires someone, they are granting them access to numerous resources and assets. An unsuccessful match can result in loss of time, money, and in some cases, can lead to security vulnerabilities. Having to refill a position after a failed hire is a time consuming and costly endeavor. 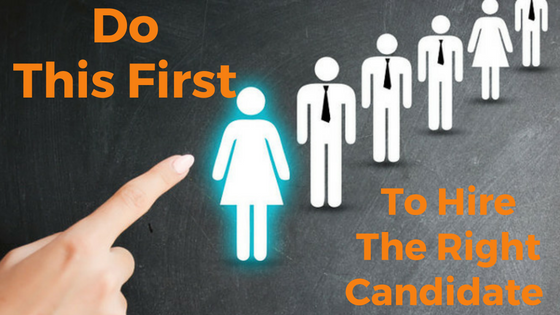 Find your balance and place the right candidate the first time.